Hello! Dorothy and Michelle here! Dorothy recently updated you on the health screenings that MSG has been working to implement over these past couple of months. 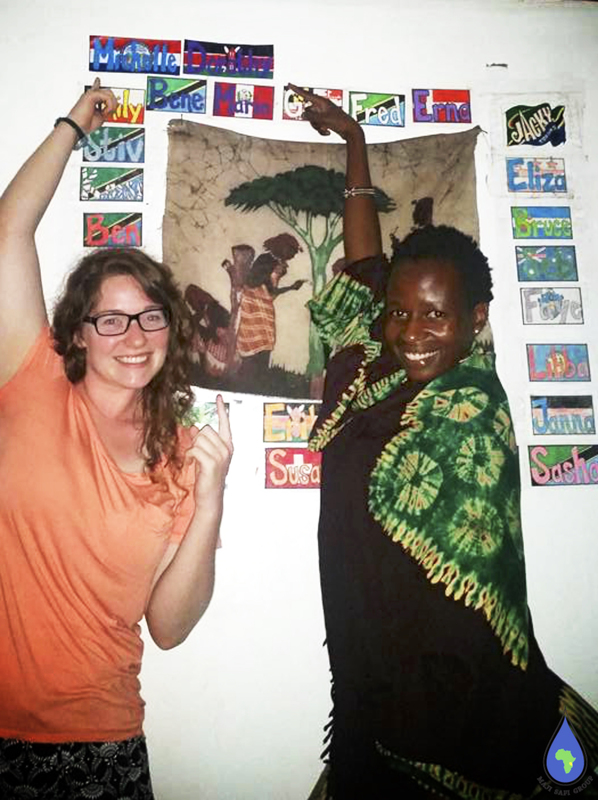 Since the last update, we have hit the ground running and have tested and treated over 2,800 participants so far from MSG’s Home Visit, Singing and Dance, Female Hygiene, and After School Programs and new community members! This week we will wrap up the health screenings with our last school where we hope to see approximately 350 more people. On our first day of health screenings we decided to trial run the program with our own Community Health Workers and their families. On that day, we saw 96 people in just over seven hours. Last Thursday, we screened 330 people in the same amount of time…you could say we’ve gotten pretty good at this. A typical day for our health screenings starts before the break of dawn when we start moving equipment and medicine needed for the screenings, as well as transporting over 30 staff members who conduct the screenings. 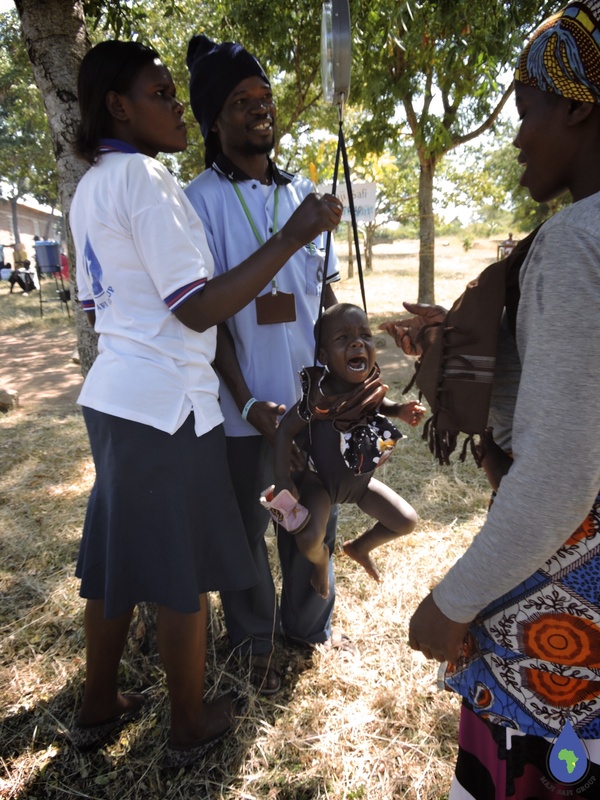 After all 9 stations are set up and ready, participants start the process at the registration table where one of our Community Health Workers registers the participant and any of their dependents. It is at this station ID numbers are assigned and urine and stool specimen containers are distributed. These containers are a centrifuge tube and matchbox, respectively. After registration, each participant is weighed and measured and may receive a Malaria Rapid Diagnostic Test. At this time, Maji Safi Group is not screening everyone for malaria due to a lack of funding, but instead is gathering baseline data on infection rates in the surrounding communities using a random sample from our participants. In the coming years, MSG hopes to work with the government and find partners to support the screening and treatment of all our participants for malaria. Some children just don’t like being weighed! 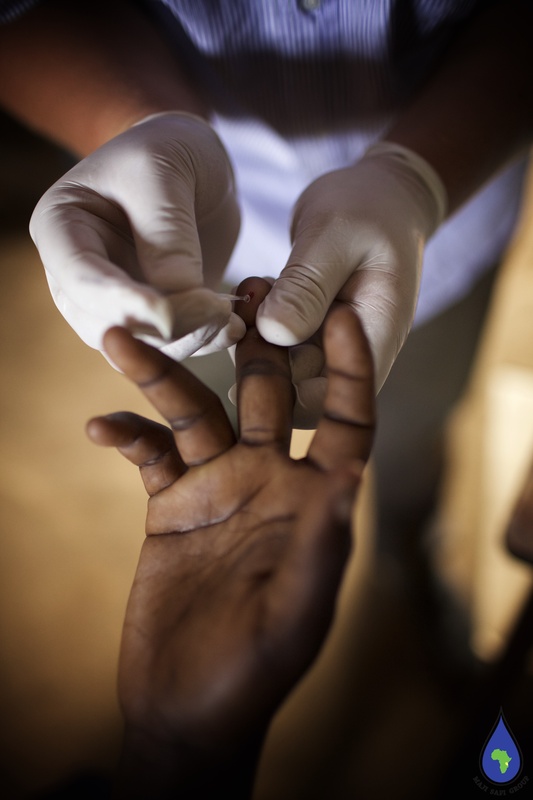 Participant gets blood drawn for a Malaria Rapid Test. CHW Mereciana explains how to give urine and stool samples for the lab. Next, the participants go to the bathroom to produce their urine and stool samples, which are examined by the lab technicians. All lab technicians, nurses, and clinicians that work with MSG are government employed and have come from the surrounding hospitals and clinics. While the program participants wait outside, the lab technicians are hard at work analyzing every sample that comes in using a centrifuge and microscope. Lab attendants ensure that samples are not mixed up and that results are recorded properly. 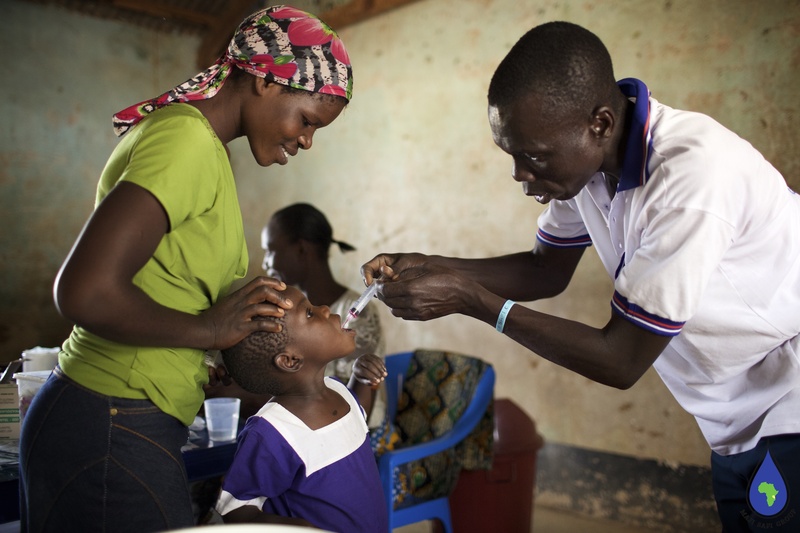 The participants are then called up to the clinician station, told their test results, and if sick, receive a prescription to be filled at the nursing station nearby. The nurses meet with each participant, pack the medication, and hand out medicine and a disease information sheet for the participant to take home. These sheets are full of helpful information that teach the participant about their treatment, as well as how to prevent getting each disease again. Any participant diagnosed with Schistosomiasis (or Bilharzia) receives treatment on site after drinking a cup of uji (porridge), which is given to help reduce the side effects of the medication. 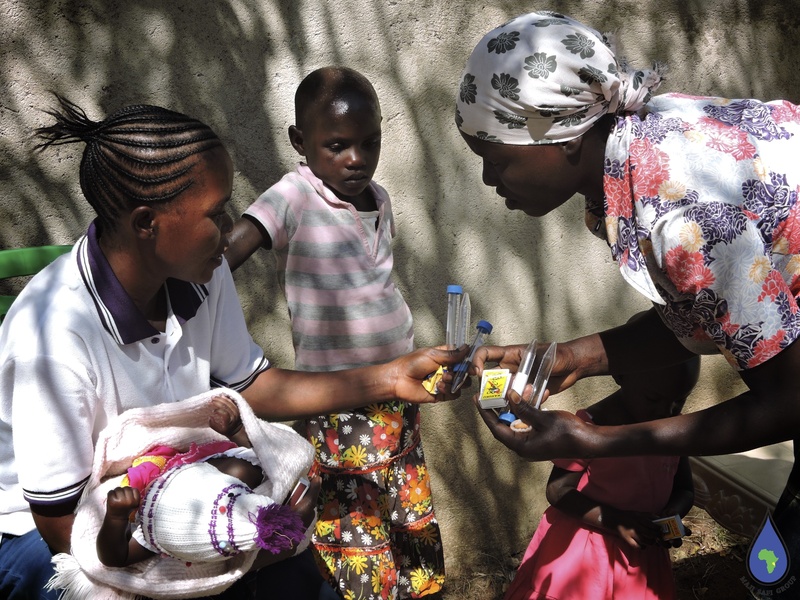 Similarly, all children under five receive intestinal worm medication on site in syrup form. CHW Jacob gives a participant worm medication. When planning for this program, we talked with several doctors on MSG’s Board of Directors that recommended we treat everyone for intestinal worms regardless of whether they test negative or positive, since it is a widely accepted as being an effective intervention. Therefore, anyone under five takes the aforementioned syrup, while those who are six years and older get tablets to take at home. Finally, after receiving their medication and drinking uji (porridge), the participants are free to return home and begin their treatment. 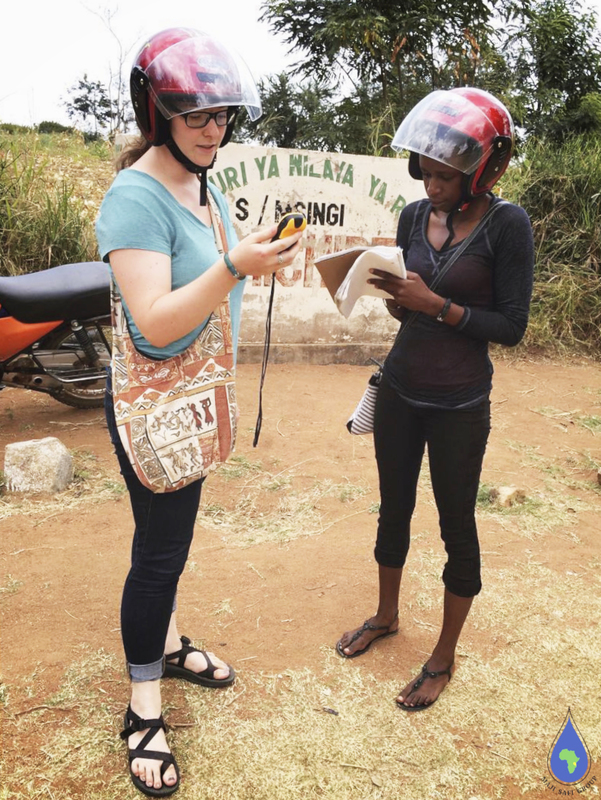 Michelle and Dorothy taking GPS points at one of the schools. Each health screening day is very full and exhausting, but is also so fun and a very rewarding educational experience for both of us. From planning all the way to implementation, we have been able to get firsthand experience of what it takes to create a successful participatory program that intersects both the public health and social work fields. While neither of us will be in Shirati for the completion of the program, we hope to be able to continue our work with MSG back in America by helping with the evaluation process. We have already collected GPS coordinates of the surrounding villages where MSG’s program participants live. These coordinates will be used in conjunction with the health screening data to help MSG understand disease prevalence rates by location and will impact how MSG tailors their WASH education in the future. Community Art Coordinator Jacky shares a laugh with a participant. With only a few days left in Shirati, we have been able to reflect on our time here these past 10 weeks. We are so thankful for all of the experiences we have had and memories that we have made while here. Leaving will be very bittersweet for us. We are sad to leave our new friends here, but are looking forward to the next chapter in our school careers. Shirati, you will see us again very soon (hopefully)!